If you love hiking or traveling, a good backpack is one of the essential pieces of gear you should own. Being a dire necessity for holding your hiking gear, backpacks come in bazillion models. This sounds like an advantage, right? Well, it’s important to note that it also has shortcomings. With so many brands available, customers get the opportunity to exercise their freedom of choice. But wait, here comes the challenge; how can one choose the perfect backpack from the so many models? To cut the long story short, we conducted a research and came up with the perfect hiking bag that has proved to offer unsurpassed satisfaction to its users. This is a high-quality backpack that is not only highly rated but also highly preferred. Having made with a high-quality tear-resistant material, this backpack is strong enough to deliver long-lasting performance even when used on a daily basis. Being water resistant, it is not only perfect for dry weather but also rainy weather providing maximum protection to your things even when caught out by rain. Furthermore, it features heavy duty two-way SBS metal zippers creating convenience by allowing you to open or close the bag on whichever side you prefer. When it comes to comfort, it is incomparable; the shoulder straps are made of a breathable material and well-padded to ensure that you can comfortably carry the bag for as long as you want. For greater comfort, it features a chest strap with a whistle buckle that allows you lock the backpack in place. When it comes to keeping your things organized, it hardly disappoints; it has multi-compartments. It has a major compartment that is separated from two smaller compartments at the front and two side pockets. We all know that the lighter the backpack, more enjoyable the journey is. Featuring a lightweight design, Venture Pal Lightweight Packable Travel Hiking Backpack Daypack doesn’t add extra weight on your back. After the enjoyable day out, you can easily fold the backpack and put it in its own pocket for storage awaiting new adventures! · It is roomy; you can accommodate much of your things when going out. · Best price. Though a high-quality bag, the price suits almost all pockets. · It is easy to store as it folds into a small pouch. · It is highly durable when well taken care of. 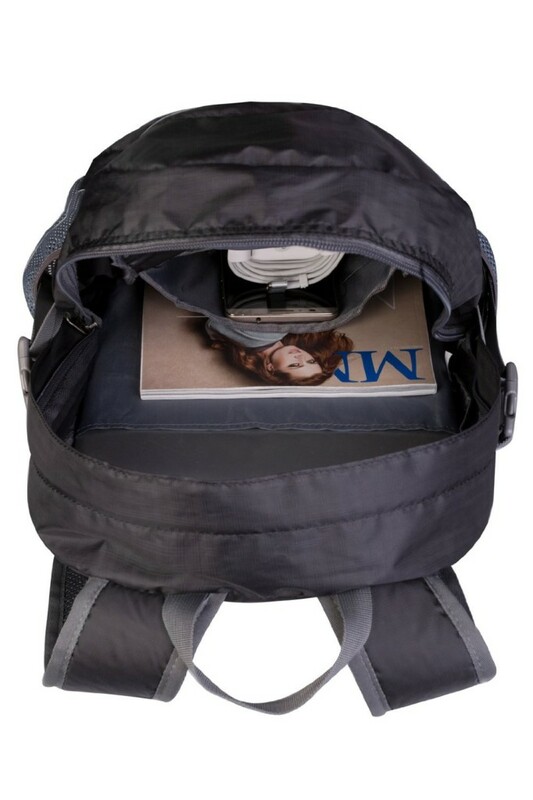 · It’s somehow thin; it may not be perfect for people who need a backpack with a constant shape. The fact remains that for as long as there are hundreds of backpack manufacturers on the market, choosing the best backpack will always remain a daunting affair. With the models creating confusion, you can easily end up getting the wrong model. 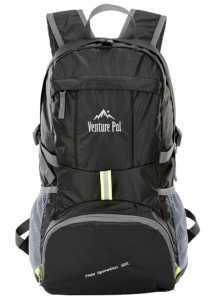 For this reason, you should consider going for Venture Pal Lightweight Hiking Backpack. Having proven to offer satisfaction to most of the users, you can be assured that your case won’t be different.